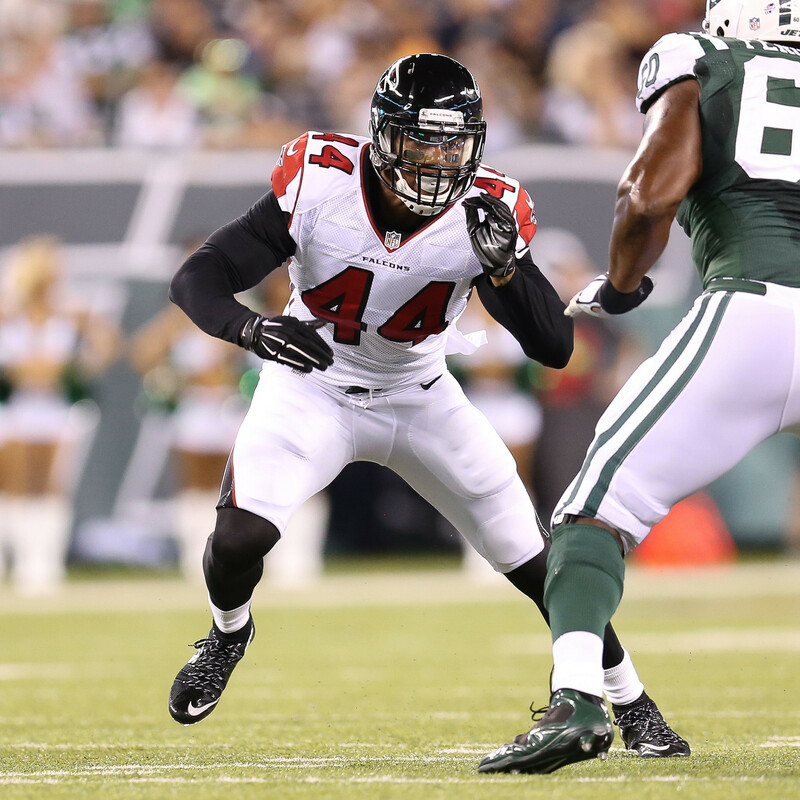 For the second time this season, Atlanta Falcons defensive end Vic Beasley reached the three-sack mark in a game. With his spectacular performance in a commanding Falcons victory on Sunday afternoon, Beasley placed himself in a tie atop the NFL sack leaderboard with 13.5 overall. In addition, Beasley forced a fumble on a strip-sack and subsequently returned it 21 yards for his first career touchdown. The scoop and score made Beasley the only Falcon to ever have three sacks and a fumble return touchdown in a single game. Dominant or not, Beasley is in the midst of a phenomenal second season in the NFL, and he has emerged as one of the league’s top pass rushers. Wide receiver Sammy Watkins of the Buffalo Bills caught his first touchdown pass of the year over the weekend. Watkins finished the day with four catches for 54 yards, including the eight-yard score. After a stint on injured reserve, Watkins returned to the Buffalo lineup three weeks ago and has played well since then. Elsewhere, New Orleans Saints outside linebacker Stephone Anthony collected a season-high nine tackles, seven of which were solo. Cornerback Bashaud Breeland picked up the first sack of his career for the Washington Redskins on Sunday. He also amassed seven tackles in the Washington win. Also of note, Miami Dolphins defensive end Andre Branch accrued six tackles, one pass deflection and one sack. Branch, who has 5.5 sacks, is now one sack shy of setting a new career best for himself this season.